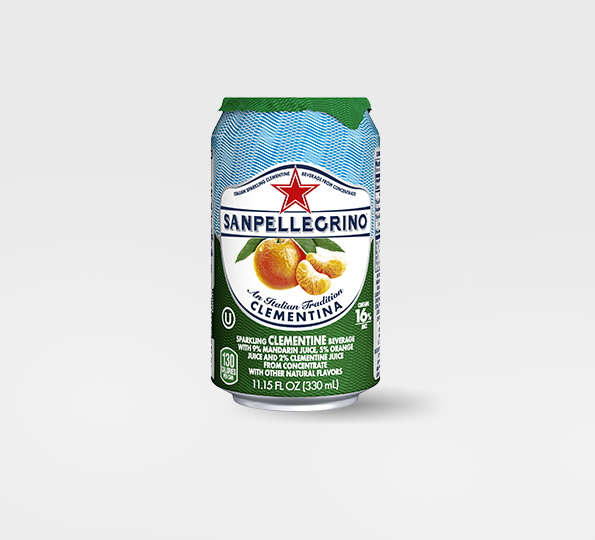 The delicate and unforgettable taste of juicy fruits transports you to Southern Italy, a scenic landscape where the sun always shines. 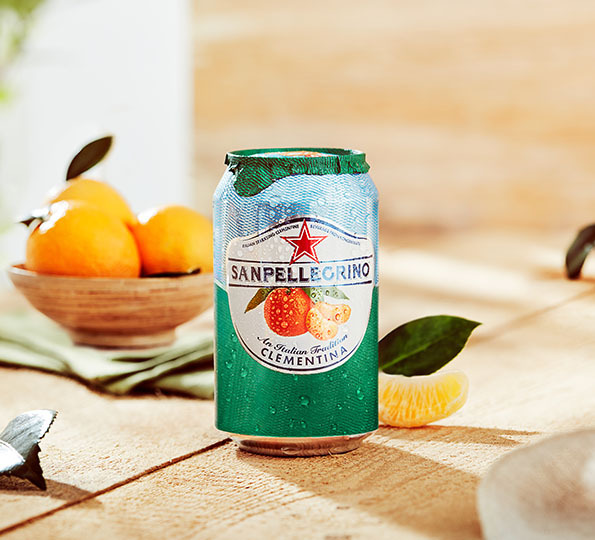 Sanpellegrino® Clementina opens with a lovely bouquet of ripe clementine and orange on the nose which forms the most refreshing and rich taste in the mouth. 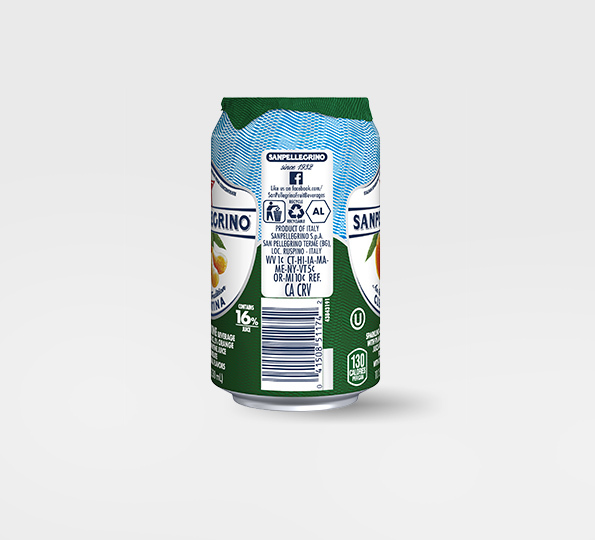 Try it with a simple tigella with cold cuts for lunch or a Sicilian cacciucco fish soup in the evening and refresh your body and mind with Sanpellegrino Clementina! Chilled at 35-40° F is the best way to enjoy the full flavors of Clementina. 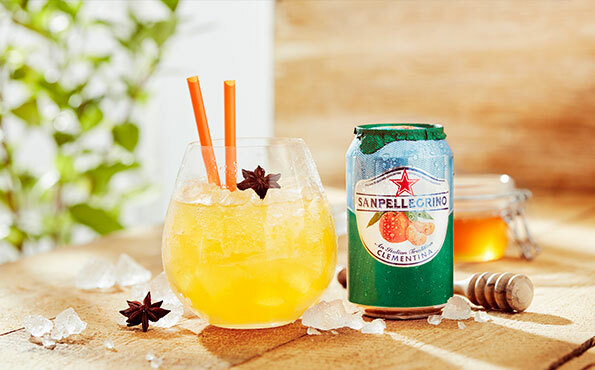 Garnish with orange peel, mandarin or even a star anise – it’s guaranteed to impress. 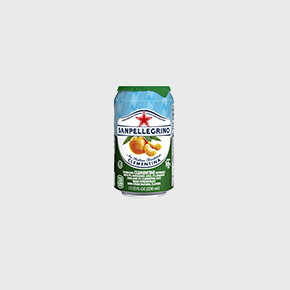 Water, Sugar, Mandarin Juice Concentrate, Orange Juice Concentrate, Carbon Dioxide, Clementine Juice Concentrate, Citric Acid, Orange Extract, Natural Flavors, Black Carrot Extract (for color). 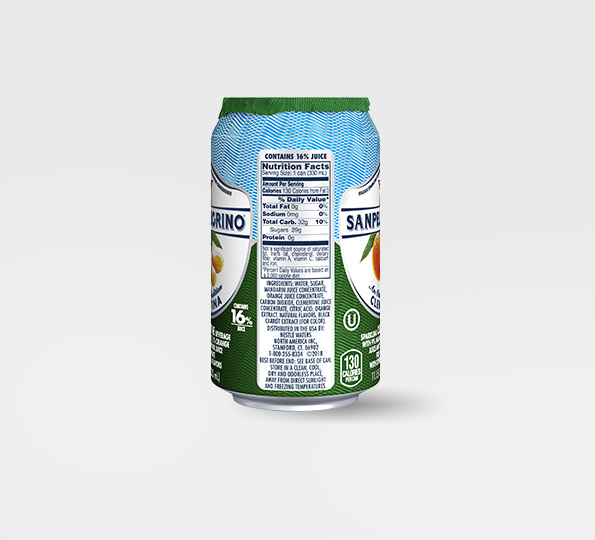 Not a significant source of saturated fat, trans fat, cholesterol, dietary fiber, vitamin A, vitamin C, calcium and iron.